Some Malaysians have a negative impression of taxi drivers—an impression that first pushed the public towards ride-hailing services. Certain taxi drivers did not improve this impression when they resorted to violence to thwart ride-hailing’s growing popularity. Things have now been relatively quiet on the taxi front, but one can imagine that their situation hasn’t improved much since then. 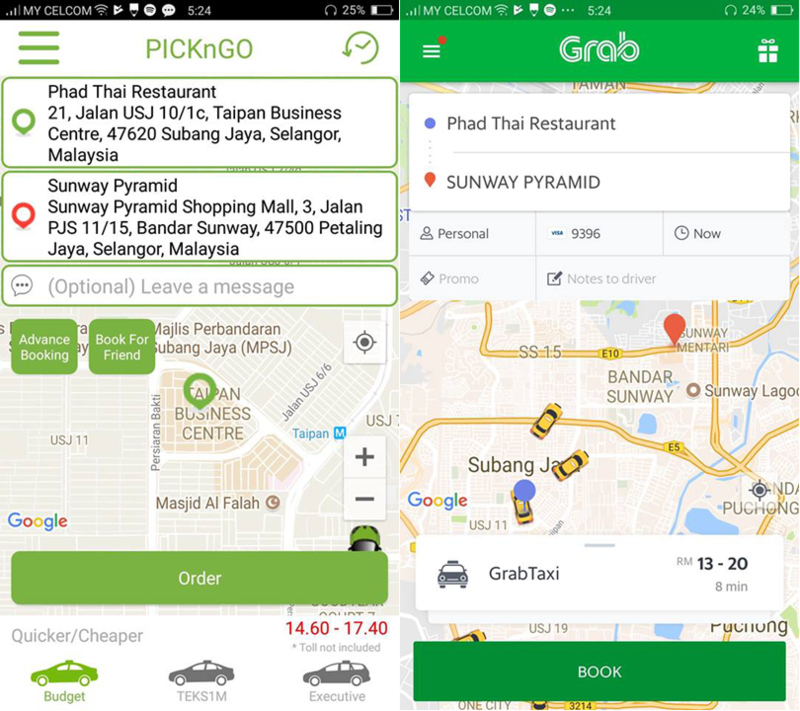 PickNGO enters the space with this history echoing in the background, following in the footsteps of previous taxi-hailing apps like JomTaxi, GrabTaxi, MesraCab (developed by taxi drivers) to the now-defunct EasyTaxi Malaysia. 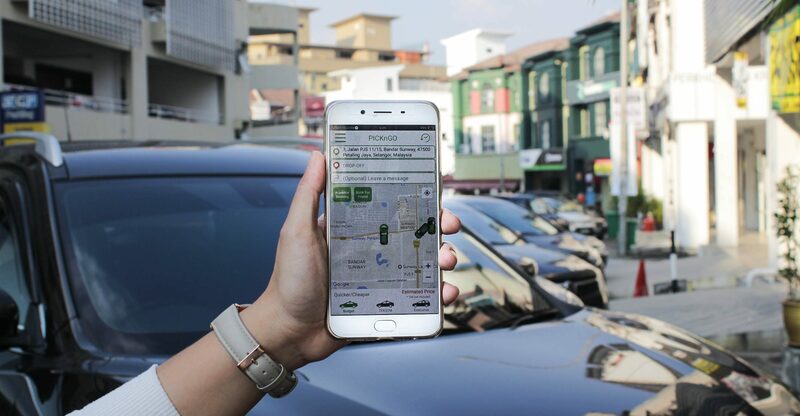 According to the team, they’ve managed to work out collaborations with major taxi companies, giving them access to a pool of 10,000 taxis all over Klang Valley. “The taxi drivers are full-time drivers, ensuring there is a consistent stream of taxis on the road to pick up passengers throughout the day. These are the defining points that set us apart from other ride-sharing apps in the market,” said Valerie Chan, Director of PICKnGo when asked how they would stand apart from ride-hailing apps like Uber or Grab. “We have always known that this will be the direction the industry will go, especially with the advancement of the digital era,” said Valerie in a press release. The taxis are all insured by participating cab companies, and most importantly, the team is expecting to roll out an SOS button by the end of July. And to top all of that off, PICKnGO will also charge consistent, metered rates—no surges. Part of the appeal of ride-hailing was for how much cheaper they were from taxis, but this did necessitate them into surging their prices after a certain point of market saturation. But if these taxis can manage to offer consistent rates that average out to be cheaper during peak hours, they might stand a competitive chance against non-taxi apps too. 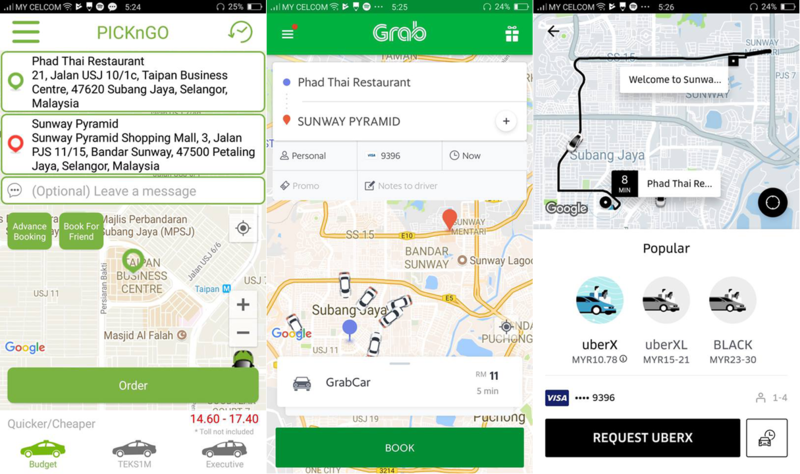 Comparison between PICKnGO and GrabTaxi. The prices were more or less in the same range based on a quick comparison we loaded up. Taking a leaf out of already-established platforms, a cursory glance indicates that it functions more or less like its popular ride-hailing competitors. It’s an age-old question that has plagued ride-hailing apps fairly recently in Malaysia, but the frequency was alarming enough to spur SPAD into ruling for SOS buttons on ride-hailing. It seems that PICKnGO will have this covered in July, but safety is more than just a button at the first sign of danger. PICKnGO’s team told us that they will be doing the first round of screening themselves before they usher in trainers to produce qualified taxi drivers up to their standards. That being said, PICKnGO will be leaving the bulk of the background checks into the hands of SPAD. This will hopefully reduce any chances of unwanted situations or unsavoury drivers from joining their fold. As we briefly touched upon in the beginning, the app’s biggest contender will have to be the sour reputation that taxi drivers have in Malaysia. “It would be a disservice to the frontline tourism ambassadors as well as a demotivator to continue painting them in less than savoury light”. As step 1 of that endeavour, PICKnGO has “engaged trainers from reputable firms to conduct the rebranding exercise” as part of their driver training procedure. And being in collaboration with major taxi companies, there is a possibility that they might be able to give taxis a new life under their app. Since they’re not the first forward-thinkers to bring the idea of “taxi-hailing” to market in Malaysia, some might wonder—can they survive? For me, it all depends on the exercise of branding. If they’re able to counteract the stigma surrounding taxis and position PICKnGO as a trustworthy alternative to the overall ride-hailing scene, then I can definitely see them conquering making progress for taxi-hailing in Malaysia. That being said, the stigma-fixing is going to be a long uphill battle for the team. It’s not going to be easy. But considering the many silent honest taxi drivers slowly losing livelihoods here in Malaysia, it’s worth a shot. PICKnGO is currently available in both Google Playstore and the Apple App Store.